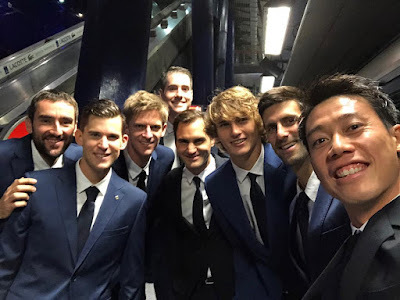 Top 8 ranked #Tennis Players in the world looking Dapper in suits as they are set for action at the London #NittoATPFinals starting today! 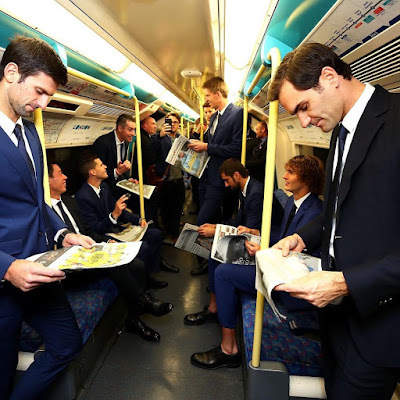 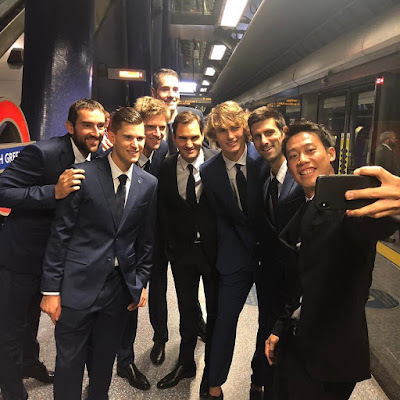 Its the end of season ATP tour Finals in London and yes you usually see these guys running around the court hitting aces and wining points but who knew they also scrubbed up nicely? 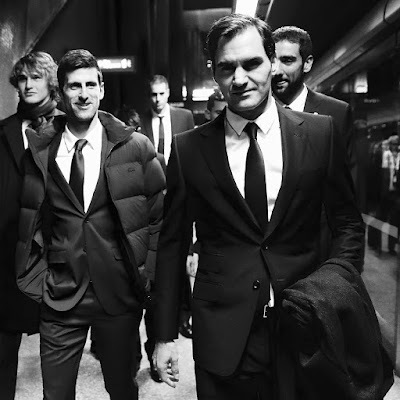 I mean look at the image below and tell me they dont look like they are from a bond movie..lols..